At the beginning of the 2000s, Switzerland went through two global recessions: the Dot-com crisis and the Great Recession. Even though Switzerland experienced milder effects compared to its European neighbours, the Swiss unemployment rate increased considerably compared to its status quo. 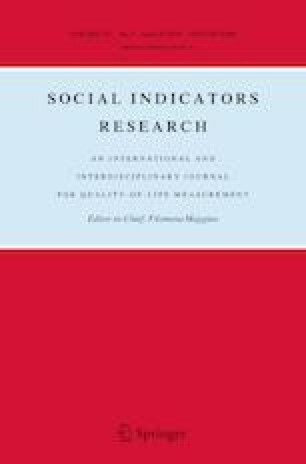 This paper explores the resilience of vulnerable groups to these economic downturns using both objective (income poverty and material deprivation) and subjective (wellbeing and satisfaction with the financial situation) indicators of quality of life. To analyse how quality of life evolved since the early 2000s, we use a longitudinal database: the Swiss Household Panel. Studying both objective and subjective indicators, results suggest that the dot-com crisis had a stronger negative effect than the Great Recession on vulnerable groups. This was particularly true for single parents and large families. Disadvantaged groups during the first crisis reacted in different ways during the second crisis. Some groups (the unemployed, the low-educated and the solo self-employed) experienced some scarring effects sometimes only according to objective indicators; others were resilient and continued with their normal trends (migrants and the young), whereas the most strongly affected groups during the first crisis (single parents and large families) registered an improvement in their conditions in the second crisis. These results point to a combination of subjective and objective indicators to evaluate the effects of recurrent crises on vulnerable groups. Rumo, S. (2015). La statistique de l’aide sociale de 2005 à 2013: présentation des groupes à risque. Dossier préparé par l’Office fédéral de la statistique (OFS). Monthly report ARTIAS. http://www.artias.ch/wp-content/uploads/2015/01/Dossierjanvier15.pdf.